The question about the relevance and applicability of historical knowledge becomes particularly urgent in the context of local history and regional history. Learners are currently not very motivated to occupy themselves with local and state history as far as centralised examinations are concerned. Life designs based on migration und multiple localities also give rise to the very practical, everyday problem of transferring what has been learned. What falls by the wayside are innovative methods, developed over decades, for learning local and regional history. These have made the local surroundings the starting point for knowledge about history, in order to free students from a receptive attitude to learning and to guide them towards an independent involvement with the past and its interpretations. The exemplary nature of such examples of regional history also allows consideration of alternatives to and special features of historical developments as well as a differentiated interpretation of history that looks directly at predecessors and envisions the complexities of their everyday lives. At the same time as learning about regional history is losing credit, a contrasting revival of old ideas about clear demarcation, tradition, simplicity, and order is emerging. Love for the homeland and pride in regional origins can still be mobilised to counteract a fluid zeitgeist and fluctuating sociability. Legitimising local chronicles, city and state museums targeted at tourists, or regional image campaigns emphatically blend history with tinges of provinciality and ethnicity. Is it not advisable to look for breadth and to choose a larger scale for the selection of topics? Ultimately, it is obvious that the real-life world and the environment of adolescents today are characterised by migration, mobility, and unlimited digital networking. Their interests extend far beyond the horizon of where they live and go to school. And what relevance does local history have for someone who has just moved to a new location? What do school leavers take with them from their classes in local and regional history when they move to a new place for an apprenticeship or for tertiary education? The principles of most German syllabi state that the integration of local and regional history is indispensable for achieving historical competency. One opponent of this very general view about the choice of topics to be taught is Karl-Ernst Jeismann, for whom it was important to note that a “homeland breeding ground” for historical awareness does not exist. Firstly, the empirical basis of local observations (and of small trials) that, according to Antweiler, is available everywhere, can be related to the local, easily accessible historical heritage and tradition. It enables elementary insights into the role of sources and the processes of historical interpretation. Consequently, the potential of learning about local and regional history results from the collection and critical examination of original sources, which does not occur during normal, everyday teaching with textbooks. Secondly, the oral nature of local knowledge, which Antweiler has highlighted, is preserved when history is passed down orally in private settings. In contrast to video recordings of interviews with contemporary witnesses, personal conversations with contemporary witnesses, conducted by students at school, are thus often related to local and regional historical contexts. Thirdly, the quality criterion of the practical use and efficiency of local knowledge, which Antweiler emphasizes, is an important aspect when one considers that the public effectiveness of non-academic and school-related history projects is especially high in the local context. Furthermore, such projects offer laypersons, in particular, numerous opportunities to influence historical culture. It is thus not a matter of students knowing about the “milestones” in the development of the village, city, or state in which they go to school but rather of addressing the continuing postmodern need for belonging to and having roots in all kinds of places. Using local history to develop a mind that has been trained with original sources and the productivity of historical culture means that everyone can access every adopted homeland historically and actively participate in local representations of history. Antweiler, Christoph: Mensch und Weltkultur. Für einen realistischen Kosmopolitismus im Zeitalter der Globalisierung, Bielefeld 2011. Blickle, Peter: Heimat. A Critical Theory oft he German Idea of Homeland (Studies in German Literature, Linguistics, and Culture), Rochester, NY (u.a. ): Camden House, 2004. Schiersner, Dietmar: Alter Zopf oder neue Chance? Regionalgeschichte in Historiographie und Geschichtsunterricht. In: GWU (2011), H. 1/2, 50-60. Creating a Primary Source Archive: All History Is Local: http://www.loc.gov/teachers/classroommaterials/lessons/local/ (last accessed 1.4.2016). Webpage Regional and Local History of the German states Rhineland-Palatinate and Saarland: https://www.regionalgeschichte.net/startseite.html (last accessed 1.4.2016). Virtual Museum „vimu.info“ – history oft the Danish-German border Region: http://www.vimu.info/general_01.jsp. (last accessed 1.4.2016). E.g. : for the central German highschool diploma (Abitur): Schönemann, Bernd/Thünemann, Holger/Zülsdorf-Kersting, Meik (Hrsg. ): Was können Abiturienten? Zugleich ein Beitrag zur Debatte über Kompetenzen und Standards im Fach Geschichte. Berlin 2010 (Geschichtskultur und historisches Lernen, 4), 20f. E.g. : in the mission statement for training and education in the six-level middle school in Bavaria: Schulprofil Realschule R 6 (2007), S. 13, http://www.isb.bayern.de/download/9151/rs-ebene1-neu-2.pdf (last accessed 1.4.2016) and in the draft of the syllabus that will become effective from 2017/18: http://www.lehrplanplus.bayern.de/fachprofil/realschule/geschichte (last accessed 1.4.2016) oder Sächsisches Staatsministerium für Kultur (Hrsg. ): Lehrplan Mittelschule Geschichte 2004/2009, S. VIII, http://www.schule.sachsen.de/lpdb/web/downloads/lp_ms_geschichte_2009.pdf?v2 (last accessed 1.4.2016). Schönemann, Bernd: Regionalgeschichtlich akzentuiertes historisches Lernen. Eine Bestandsaufnahme in systematisierender Absicht. In: BDLG (2008), S. 1-11 und zuletzt auch Schiersner, Dietmar: Alter Zopf oder neue Chance? Regionalgeschichte in Historiographie und Geschichtsunterricht. In: GWU (2011), H. 1/2, 50-60. Petry, Ludwig: In Grenzen unbegrenzt, Möglichkeiten und Wege der geschichtlichen Landeskunde. In: Jahresgabe des Instituts für geschichtliche Landeskunde an der Universität Mainz 1961, 3-17; Brakensieck, Stefan/Flügel,Axel (Hrsg. ): Regionalgeschichte in Europa. Methoden und Erträge der Forschung zum 16. und 19. Jahrhundert (Forschungen zur Regionalgeschichte, 34). Paderborn 2000; Van Laak, Dirk: Alltagsgeschichte. In: Maurer, Michael (Hrsg. ): Aufriß der Historischen Wissenschaften, Bd. 7: Neue Themen und Methoden der Geschichtswissenschaft. Stuttgart 2003, bzw. mit einer globalgeschichtlichen Perspektive: Weyeneth, Robert: Writing Locally, Thinking Globally. National Council on Public History, 9.1.2013, http://ncph.org/history-at-work/p1837/ (last accessed 1.4.2016). As in the election programme “We for our homeland” (Wir für unsere Heimat) of the rightwing conservative party Alternative für Deutschland Sachsen-Anhalt for the state elections on 13 March 2016. In contrast: Blickle, Peter: A Critical Theory of the German Idea of Homeland. Rochester/NY 2004, and, for the significance of homeland (Heimat) as a topic in the postmodern era: Rosa, Hartmut: Heimat im Zeitalter der Globalisierung, http://www.kas.de/upload/dokumente/2012/heimat/Heimat_rosa.pdf (last accessed 1.4.2016). Cornelißen, Christoph: Historische Identitätsbildung im Bindestrichland Nordrhein-Westfalen. Bochum 2008, 11-32, insbesondere S. 26-27. Exemplarisch für die touristische Vermarktung http://www.auf-nach-mv.de/museen und https://www.thueringen-entdecken.de/urlaub-hotel-reisen/luther-und-die-reformation-124324.html (last accessed 1.4.2016). Everyday practices and experiences of social space during learning processes of adolescents are thematised by, amongst others: Bergmann, Malte/Lange, Bastian (Hrsg. ): Eigensinnige Geographien. Städtische Raumaneignungen als Ausdruck gesellschaftlicher Teilhabe. Wiesbaden 2011; Benke, Karlheinz: Geographien der Kinder. Von Räumen und Grenzen in der Postmoderne. München 2005. Jürgen Hannig presented, in 1984, an initial model for choosing topics in regional history and named four criteria; historical exemplarity, history as a region-specific contextual interaction, communicability for the everyday world, and methodological elementarity. Cf. Hannig, Jürgen: Regionalgeschichte und Auswahlproblematik. In: Geschichtsdidaktik 2 (1984), S. 131-141, here: 138. 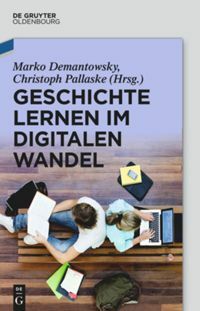 Jeismann, Karl-Ernst: Landesgeschichte im Unterricht der Schulen – Didaktik zwischen Wissenschaft und Unterricht. In: Beeck, Karl-Hermann (Hrsg. ): Landesgeschichte im Unterricht (Schriftenreihe zur Geschichte und politischen Bildung, 11). Ratingen 1973, S. 14-28, cit. 16. Antweiler, Christoph: Mensch und Weltkultur. Für einen realistischen Kosmopolitismus im Zeitalter der Globalisierung (Der Mensch im Netz der Kulturen. Humanismus in der Epoche der Globalisierung). Bielefeld 2011, 30 and 180f. John, Anke: Local History Knowledge instead of Regional Folklore. In: Public History Weekly 4 (2016) 14, DOI: dx.doi.org/10.1515/phw-2016-5972. Die Frage der Relevanz und Anwendbarkeit historischen Wissens stellt sich bei der Lokal- und der Regionalgeschichte besonders drängend. Mit Blick auf zentrale Prüfungen ist es derzeit für Lernende nicht sehr motivierend, sich mit den partikularen Inhalten von Orts- und Landesgeschichte zu beschäftigen. Aus Migration und multilokalen Lebensentwürfen ergibt sich außerdem ein ganz lebenspraktisches Transferproblem des Gelernten. Zentrale Prüfungen und Leistungsmessungen haben zu einer Marginalisierung lokal- und regionalgeschichtlicher Inhalte geführt, denn diese sind bekanntlich schwer zu verallgemeinern und widerstreben in ihrer Spezifik dem bildungspolitischen Trend zur Standardisierung. Orte mit Überresten aus der Römerzeit oder mit einer mittelalterlichen Bausubstanz bieten vielfach andere Anknüpfungspunkte als Städte und Dörfer mit neuzeitlichen Denkmälern oder mit einer Gedenkstätte zur Geschichte des 20. Jahrhunderts. Kommt Lokal- bzw. Regionalgeschichte dennoch im Lehrbuch bzw. in den Lehrplänen der 16 deutschen Länder vor, dann geschieht dies in der Regel zur Veranschaulichung und Konkretion der allgemeinen Geschichte und zum Zweck der Identitätsvergewisserung von Sachsen, Bayern oder Brandenburgern etc. Auf der Strecke bleiben die über Jahrzehnte gewonnenen innovativen Methoden lokal- und regionalgeschichtlichen Lernens, die den Nahbereich zum Ausgangspunkt historischen Erkennens machen, um SchülerInnen aus einer rezeptiven Lernhaltung zu befreien und sie zur selbstständigen Auseinandersetzung mit der Vergangenheit und ihren Deutungen anzuleiten. Die Exemplarität der regionalgeschichtlichen Beispiele ist dabei auch für eine Beschäftigung mit Alternativen und Besonderheiten geschichtlicher Entwicklungen offen und für eine differenzierte Geschichtsbetrachtung, die den Vorfahren ins Gesicht sieht und ihren vielschichtigen Alltag vergegenwärtigt. Während regionalgeschichtliches Lernen an Kredit verliert, leben dagegen die alten Ideen von klarer Begrenzung, Tradition, Überschaubarkeit und Ordnung wieder auf. Mit Heimatliebe und regionalem Herkunftsstolz lässt sich immer noch gegen einen fließenden Zeitgeist und eine veränderliche Gesellschaftlichkeit mobilisieren. Legitimierende Ortschroniken, touristisch ausgerichtete Stadt- und Landesmuseen oder regionale Imagekampagnen vermischen Geschichte kräftig mit dem Hauch des Provinziellen und des Folkloristischen. Ist es da nicht ratsam, im Geschichtsunterricht die Weite zu suchen und bei der Auswahl der Themen einen größeren Maßstab zu wählen? Unübersehbar sind schließlich die Lebenswelt und heutige Lebensumstände Heranwachsender durch Migration, Mobilität und eine unbegrenzte digitale Vernetzung geprägt. Ihre Interessen reichen weit über den Horizont des eigenen Schul- und Wohnortes hinaus. Und welche Relevanz hat Lokalgeschichte für jemanden, der gerade erst zugezogen ist? Was nehmen SchulabgängerInnen aus einem lokal- und regionalgeschichtlich geprägten Unterricht mit, wenn sie für die Lehre oder ein Studium bald an einen anderen Ort ziehen werden? In den Leitgedanken der meisten deutscher Lehrpläne ist nachzulesen, dass für den historischen Kompetenzerwerb die Integration von Lokal- und Regionalgeschichte unverzichtbar ist. Gegen diese sehr allgemeine Sicht auf die Themenauswahl im Unterricht lässt sich Karl-Ernst Jeismann anführen, dem es wichtig war, festzuhalten, dass es keine “heimatliche Keimzelle” von Geschichtsbewusstsein gibt. Erstens könnte die nach Antweiler überall zu findende empirische Basis der lokalen Beobachtungen (und der kleinen Versuche) auf die vor Ort jedermann zugängliche historische Überlieferung und Tradition bezogen werden. Sie ermöglicht elementare Einsichten in die Rolle von Quellen und über historische Deutungsprozesse. Das Potenzial lokal- und regionalgeschichtlichen Lernens ergibt sich demnach aus der Sammlung und Auseinandersetzung mit originalen Quellen, die im normalen Unterrichtsalltag mit dem Schulbuch nicht vorkommt. Zweitens ist die Oralität lokalen Wissens, die Antweiler herausgestellt hat, in der mündlichen Tradierung von Geschichte im privaten Umfeld aufgehoben. Im Unterschied zu videographierten Zeitzeugeninterviews sind selbst durchgeführte Zeitzeugengespräche in der Schule daher oft an lokal- und regionalgeschichtlichen Zusammenhängen ausgerichtet. Drittens ist das von Antweiler hervorgehobene Gütekriterium des praktischen Nutzens und der Effizienz lokalen Wissens ein wichtiges Moment, wenn man bedenkt, dass die öffentliche Wirksamkeit nichtakademischer und schulischer Geschichtsprojekte im lokalen Kontext besonders groß ist und sich hier für den Laien besonders viele Möglichkeiten einer zivilgesellschaftlichen Einflussnahme auf Geschichtskultur eröffnen. Es kommt deshalb nicht darauf an, dass Lernende die “Marksteine” der Entwicklung ihres Dorfes, ihrer Stadt oder des Landes kennen, in dem sie zur Schule gehen, sondern auf das in der Postmoderne andauernde Bedürfnis nach Zugehörigkeit und Verankerung an allen möglichen Orten. Die lokalgeschichtliche Ausbildung eines an originalen Quellen und geschichtskultureller Produktivität geschulten Denkens bedeutet, sich jede Wahlheimat auch historisch erschließen zu können und lokale Repräsentationen von Geschichte aktiv mitzugestalten. Creating a Primary Source Archive: All History Is Local: http://www.loc.gov/teachers/classroommaterials/lessons/local/ (letzter Zugriff 01.04.2016). Internetportal zur regionalen und lokalen Geschichte in den Bundesländern Rheinland-Pfalz und Saarland: https://www.regionalgeschichte.net/startseite.html (letzter Zugriff 01.04.2016). Das virtuelle Museum „vimu.info“ der deutsch-dänischen Grenzregion: http://www.vimu.info/general_01.jsp (letzter Zugriff 01.04.2016). Für das deutsche Zentralabitur bspw. Schönemann, Bernd/Thünemann, Holger/Zülsdorf-Kersting, Meik (Hrsg. ): Was können Abiturienten? Zugleich ein Beitrag zur Debatte über Kompetenzen und Standards im Fach Geschichte. Berlin 2010 (Geschichtskultur und historisches Lernen, 4), S. 20f. Bspw. im Bildungs- und Erziehungsauftrag für die sechsstufige Realschule in Bayern: Schulprofil Realschule R 6 (2007), S. 13, http://www.isb.bayern.de/download/9151/rs-ebene1-neu-2.pdf (letzter Zugriff 01.04.2016) und im Lehrplanentwurf, der ab 2017/18 in Kraft tritt: http://www.lehrplanplus.bayern.de/fachprofil/realschule/geschichte (letzter Zugriff am 01.04.2016) oder Sächsisches Staatsministerium für Kultur (Hrsg. ): Lehrplan Mittelschule Geschichte 2004/2009, S. VIII, http://www.schule.sachsen.de/lpdb/web/downloads/lp_ms_geschichte_2009.pdf?v2 (letzter Zugriff 01.04.2016). Schönemann, Bernd: Regionalgeschichtlich akzentuiertes historisches Lernen. Eine Bestandsaufnahme in systematisierender Absicht. In: BDLG (2008), S. 1-11 und zuletzt auch Schiersner, Dietmar: Alter Zopf oder neue Chance? Regionalgeschichte in Historiographie und Geschichtsunterricht. 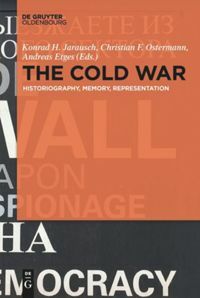 In: GWU (2011), H. 1/2, S. 50-60. Petry, Ludwig: In Grenzen unbegrenzt, Möglichkeiten und Wege der geschichtlichen Landeskunde. In: Jahresgabe des Instituts für geschichtliche Landeskunde an der Universität Mainz 1961, S. 3-17; Brakensieck, Stefan / Flügel,Axel (Hrsg. ): Regionalgeschichte in Europa. Methoden und Erträge der Forschung zum 16. und 19. Jahrhundert (Forschungen zur Regionalgeschichte, 34). Paderborn 2000; Van Laak, Dirk: Alltagsgeschichte. In: Maurer, Michael (Hrsg. ): Aufriß der Historischen Wissenschaften, Bd. 7: Neue Themen und Methoden der Geschichtswissenschaft. Stuttgart 2003, bzw. mit einer globalgeschichtlichen Perspektive: Weyeneth, Robert: Writing Locally, Thinking Globally. National Council on Public History, 09.01.2013, http://ncph.org/history-at-work/p1837/ (letzter Zugriff 01.04.2016). So das Wahlprogramm “Wir für unsere Heimat” der rechtskonservativen Partei Alternative für Deutschland Sachsen-Anhalt zur Landtagswahl am 13. März 2016. Dagegen Blickle, Peter: A Critical Theory of the German Idea of Homeland. Rochester/NY 2004 und zur Bedeutung von “Heimat” als Thema der Postmoderne Rosa, Hartmut: Heimat im Zeitalter der Globalisierung, http://www.kas.de/upload/dokumente/2012/heimat/Heimat_rosa.pdf (letzter Zugriff 01.04.2016). Cornelißen, Christoph: Historische Identitätsbildung im Bindestrichland Nordrhein-Westfalen. Bochum 2008, S. 11-32, insbesondere S. 26-27. Exemplarisch für die touristische Vermarktung http://www.auf-nach-mv.de/museen und https://www.thueringen-entdecken.de/urlaub-hotel-reisen/luther-und-die-reformation-124324.html (letzter Zugriff 01.04.2016). Alltagspraktiken und Sozialraumerfahrungen von Jugendlichen in Lernprozessen thematisieren u.a. : Bergmann, Malte/Lange, Bastian (Hrsg. ): Eigensinnige Geographien. Städtische Raumaneignungen als Ausdruck gesellschaftlicher Teilhabe. Wiesbaden 2011; Benke, Karlheinz: Geographien der Kinder. Von Räumen und Grenzen in der Postmoderne. München 2005. 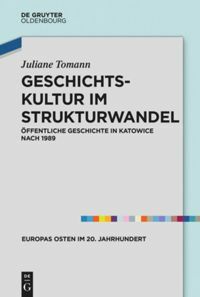 Ein erstes Modell für die Auswahl regionalgeschichtlicher Themen legte 1984 Jürgen Hannig vor, der vier Kriterien nannte: Historische Exemplarität, Geschichte als regionalspezifischer Interaktionszusammenhang, Alltagsweltliche Kommunikabilität und methodische Elementarität. Vgl. Hannig, Jürgen: Regionalgeschichte und Auswahlproblematik. In: Geschichtsdidaktik 2 (1984), S. 131-141, hier S.138. Jeismann, Karl-Ernst: Landesgeschichte im Unterricht der Schulen – Didaktik zwischen Wissenschaft und Unterricht. In: Beeck, Karl-Hermann (Hrsg. ): Landesgeschichte im Unterricht (Schriftenreihe zur Geschichte und politischen Bildung, 11). Ratingen 1973, S. 14-28, zit. S. 16. Antweiler, Christoph: Mensch und Weltkultur. Für einen realistischen Kosmopolitismus im Zeitalter der Globalisierung (Der Mensch im Netz der Kulturen. Humanismus in der Epoche der Globalisierung). Bielefeld 2011, S. 30 und 180f. John, Anke: Lokalgeschichtliches Wissen statt Regionalfolklore. In: Public History Weekly 4 (2016) 14, DOI: dx.doi.org/10.1515/phw-2016-5972. I can only agree with Anke John on the importance of a regional approach to historical learning. Just one remark to Antweiler’s first potential and one idea that to me seems an obvious possible fourth: If future teachers during their university training learn how to identify local sources and transform them into ready-to-use classroom teaching material, this offers them a perfect opportunity to see how historical criticism and didactics of history can closely interact. In a project seminar on Jewish life in Northeast Germany before 1933, for instance, students in Rostock this semester can learn how challenging it is to transform local autobiographies into 1000-character textbook type source material. Forced to counterbalance source criticism and classroom needs, students hopefully see that there are very good reasons for them to learn the historians’ trade as well as the skills of teaching history. Incidentally, one could add that agonizing through the dreaded Latin is of no use unless it is put to use – for example to access the local heritage. As far as a possible forth potential is concerned, one should remember all the recent attempts to point out the manifold channels of ‘glocalization’, i.e. the entanglement of near-distance and long-distance relations. For these concepts, of course, Antweiler is also a good reference, and Anke John’s call to “make every adopted homeland” accessible historically blends in well with his notion of a “realistic cosmopolitanism”. Oliver Plessow underlined the significance of local history for Teachers-Training. To identify local sources and transform into ready-to-use classroom teaching material is necessary for future teachers. I share Oliver Plessows concern in this specific case. More over the debate about context of Local History and Regional History is strong related to reasoning from guided discovery learning. In respect of this nature self-regulation is a key issue for project seminar and successful discoverers, who tend to follow a plan going through their own investigating the past. Teachers-Training should aim at developing students’ sense of abilities and skills for choosing forms of diversity representation. Apart from that a textbook type source material, that is restricted to one thousand characters, may not always be suitable approach and measure to actively take part in debates and influence historical culture in everyday live. My arguments referring to Christoph Antweilers theory of “Local Knowledge“ should direct special attention to benefit and applicability of historical learning based on local surroundings. Of course this thought is a needful addition to the recent discussions about academic methods and cognitive interests, which deals with the term “Glocalization“ and the understanding of relations, regional differences and singularity developments.